Oasis Sod Farms knows the importance of providing healthy mature sod - Delivering top Quality Turf Grasses to Mississippi, Tennessee, Louisiana and surrounding areas. A professional sod lawn needs no special care because it is a healthy mature lawn when installed, where a sprigged or seeded lawn requires months of nurturing to reach maturity.Sod is grown under expert care from top quality seed blends or certified hybrid sprigs. After it has been installed, just water, mow, and fertilize your sod lawn as needed and it will remain a healthy, green carpet of grass, requiring very little maintenance. Sod can be installed practically anywhere, even where seeding is impossible or too costly. Sod is often used to stop soil erosion. 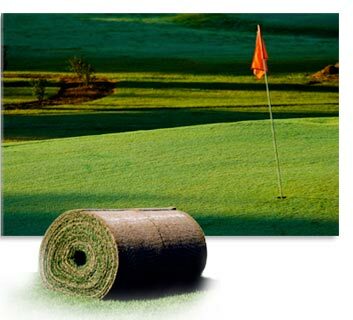 Sod is available in a variety of grass blends to suit various needs such as climate, amount of usage, sun and shade conditions. Sod establishes itself quickly. In a couple of weeks, it is ready for full use. With today’s various blends of hardy grasses sod is chosen for parks, golf courses, and athletic fields, as well as residential homes and business parks. Now you can install a sod lawn anytime during the year when the ground can be tilled. There is no need to wait for the “right” season to put in your lawn.